The Thanksgiving holiday led me to thinking about teaching and baking. We can all follow a recipe on a box. Teaching a class of 20 students is not like following a step-by-step recipe. There is no set of things that work for your set of students all the time. What worked last year may be a big flop this year. Each class is unique. However, great teachers know how to bake a perfect cake. Great teachers know how to adjust quickly and know what to do and when to do it. If the cake looks a little lumpy, you know when to stir. If the cake is a little dry, you know when to add more water. Teaching is understanding this and constantly changing strategies for instruction based on what your students need at that given moment. It is our job as educators to ensure that every child finds success. Great teachers know how to make the best of the situation at any given minute. 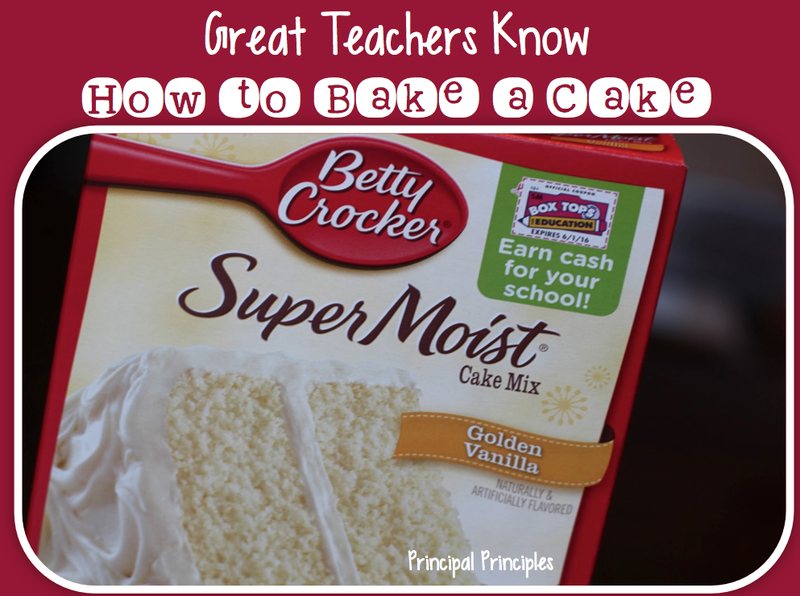 Great teachers see each student as a single layer of a multi-tier cake. They take each lesson and bake it up just for the needs of that one individual student. Each student is unique and should be treated as such. The recipe on the side of the box is only a reference. Instead, great teachers, bake the cake up with passion, determination, inspiration, knowledge and engagement. They stack the cake so that students have a reason to learn and in the process can't help but love school. Great teachers know content and how to explain it. Great teachers expect and demand high levels of performance from their students and never expect less. Great teachers see their challenges as opportunities. Half the school year is ending. Let's go bake some cakes!